Team GB gave an impressive performance, with six medals won when the Europeans came to Lasham. Read about it in the Oct/Nov issue of S&G, where you can also learn what it is like to fly Binder’s very impressive EB 29R. 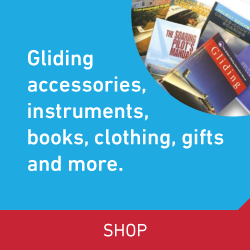 If you are still aspiring to become a champion, find out what clubs are doing to help pilots transition to long-term gliding enjoyment. Preconceptions about the British weather mean the UK is often overlooked as a venue for international competitions. With 10 soaring days in the 18m and Open Class and seven in the 15m Class, the Lasham Europeans fared better than a number of recent international competitions. Normal club operations continued alongside the Europeans, with the comp grid being trumped on one day by the club grid of 85 gliders. Some remarkable launch rates were achieved. Six medals were awarded to Team GB, including a Silver in the Team Cup. All three medals in the 18m Class of the European Championships at Lasham were awarded to pilots flying Schempp-Hirth’s new Ventus. Other pilots were overheard commenting that they wished they had an EB 29 like Michael Sommer, who went on to win the Open Class. Binder’s EB 29R is the newest evolution of the EB 29. Jan W Anderson had the opportunity to carry out a test flight and found it to be close to an optimal combination of the latest construction methods and knowledge of wing profiles, with an extreme gliding performance that fully matches short wing Open Class gliders, while keeping all the known benefits of long wings intact. Having ‘jumped out of his glider’ a few years back, G Dale had a jaded view of gaggle flying. Competing in the Club Class of the Europeans held in the Czech Republic, G realised that despite how you feel about flying in the gaggle you won’t do well unless you start enjoying it. And so he learned to stop worrying and to love the gaggle. Steve Jones and Gary Coppin, flying in the 20m Class, came home with a Silver medal. 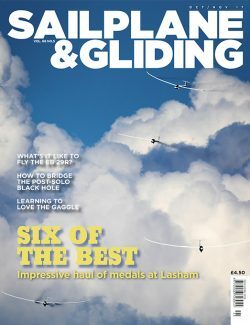 If becoming the next champion is still a distant dream, or you would just like to build up the confidence to leave the airfield, this issue’s Ask the Coach feature looks at what clubs are doing to provide the training and support necessary to help bridge the post-solo ‘black hole’. Going solo is just the first step and more people would continue if they became aware of the fun, delights and rewards of sustained soaring and cross-country flights. Also in this issue: Peter F Selinger gives an overview of glider construction in the southwest of Germany from the beginnings to today. Jill Harmer introduces a report from Competition Enterprise. Katharine York explains how the Lincolnshire GC High Flying Girls initiative is ticking all the right boxes. Ebenezer Grimshaw breaks taboos, dispels myths and restores reality for newbies. Andrew Jarvis and Nick Newton report from the 45th VGC International Rally. 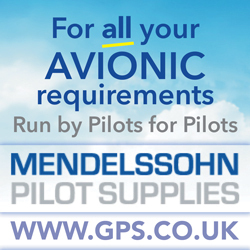 Bob Jones explains why he believes power pilots have special needs that need to be better addressed when converting to flying gliders. BGA development officer Alison Randle looks at the results from a club volunteering survey. Jago Roberts-Coyne reflects on the achievement of two pilots with half a century between them. Chris Basham reports on celebrating 25 years at The Park. Paul Kerman describes his traffic light solution to prevent potential runway incursions. Pete Stratten highlights good practices to maintain your pride and joy. And there are many more of your stunning images in the Gallery pages.